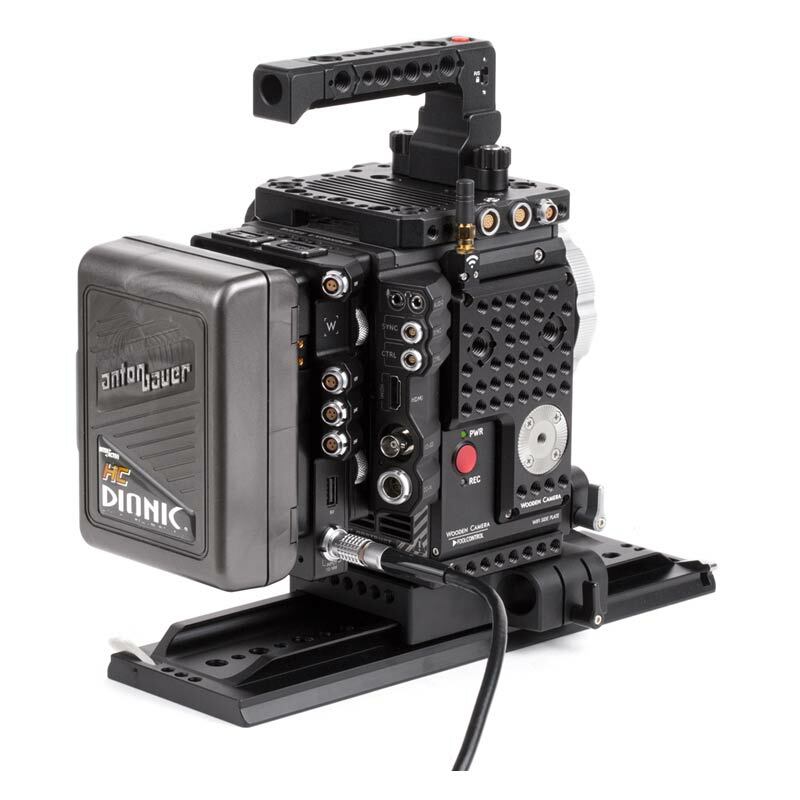 All Cable-less and D-Box products are now compatible with RED 7.0+ firmware (IPP2). 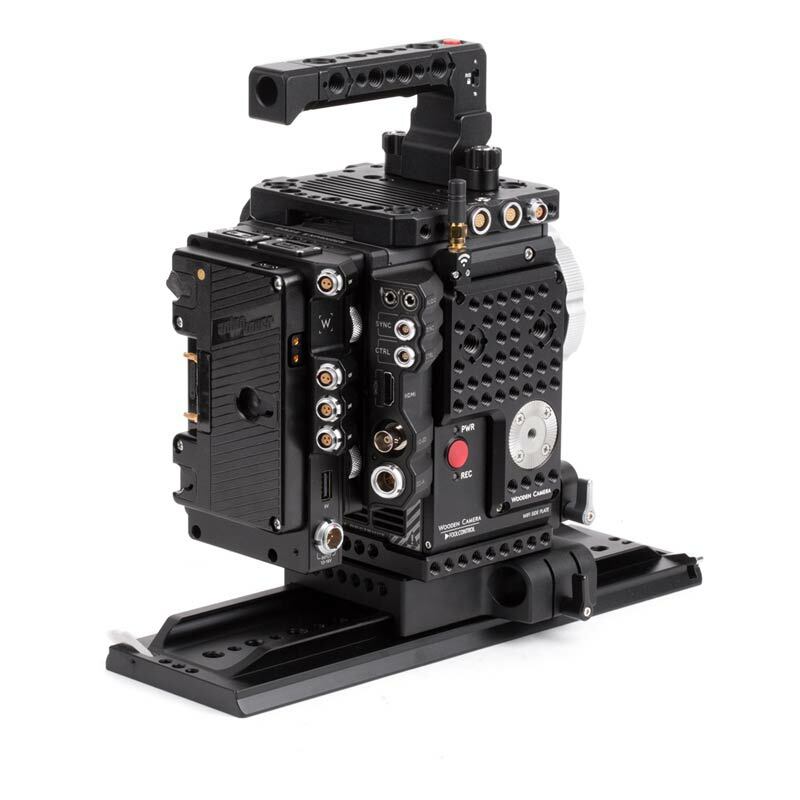 D-Box (Weapon/Epic-W/Scarlet-W/Raven, Gold Mount) is a custom version of our popular D-Box that adds power distribution, standardized remote start/stop, and hot swap abilities for RED DSMC2 Brains (Monstro, Helium, Gemini), Weapon, Epic Weapon (Epic-W), Scarlet Weapon (Scarlet-W), Raven, and other DSMC2 cameras. 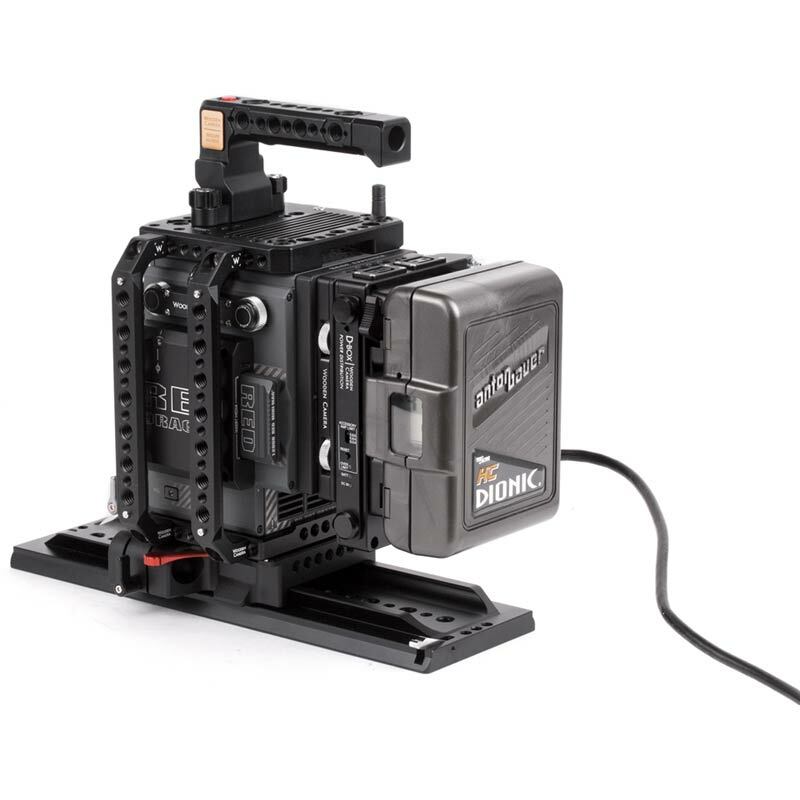 The D-Box is completely tool-less for installation and utilizes our Cable-less interface which attaches directly to the back of the camera body, Base Expander Module, REDVolt Expander Module, and the Teradek O-Mods. 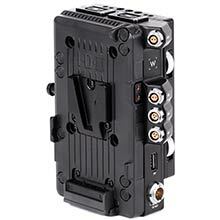 Connectors on the D-Box include 2x 2pin LEMO (12V), 2x 3pin Fischer (24V with R/S), 4x D-Tap (12V)(note that one D-Tap is partly obscured by the housing shape), and 1x USB. These outputs are contoured to match the Expander Module which allow for all cables to be installed with no collisions. 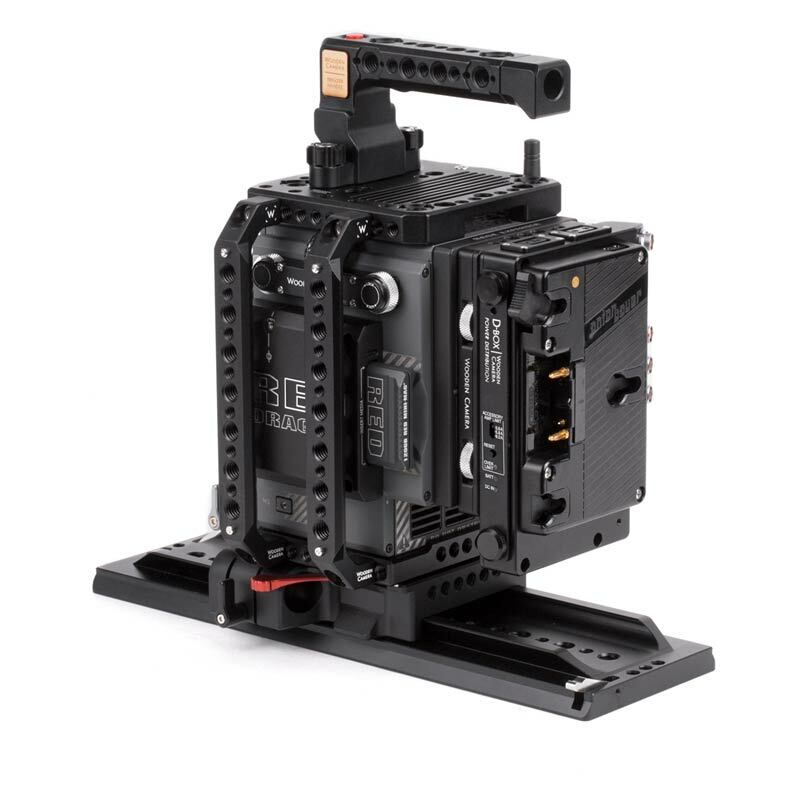 The module communicates with the camera and allows any ARRI standard start/stop trigger to be used with the 3pin Fischer port. The DC input on the D-Box is the same as the camera's LEMO connector allowing for an AC Power Supply or External Power Plate to be connected to power accessories during a battery change. 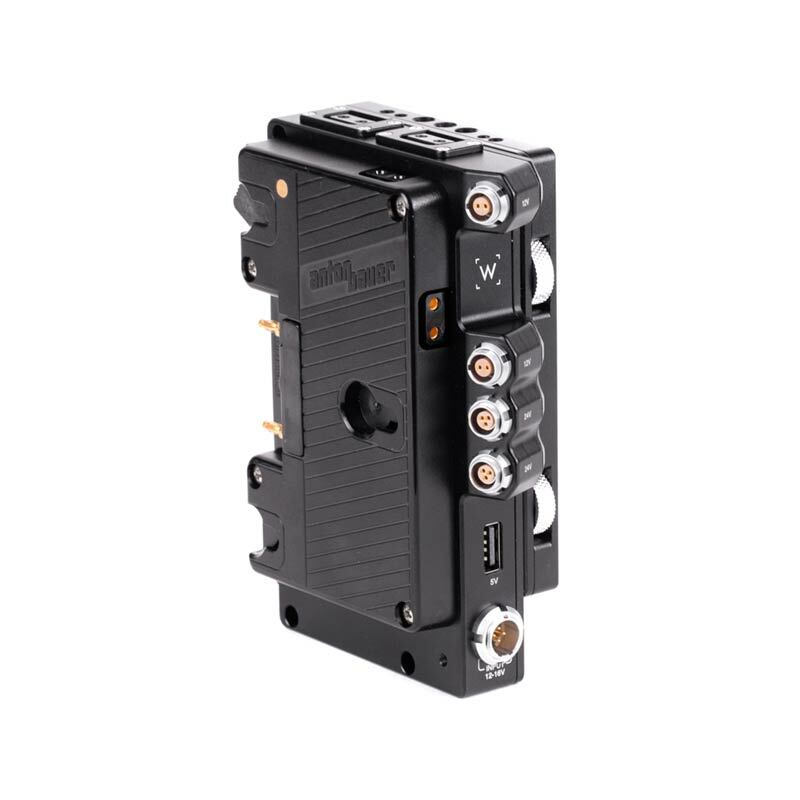 When both battery and DC input are utilized, the D-Box defaults to the DC input, leaving the onboard battery fully charged. If DC input or Batt voltage is above 12.5V, the LED will be green. If the battery voltage is below 12V, the LED will be red and if the battery voltage is between those values, the LED will be orange. When using Cable-less and D-Box battery modules it is important to know what amount of power your batteries are capable of providing. 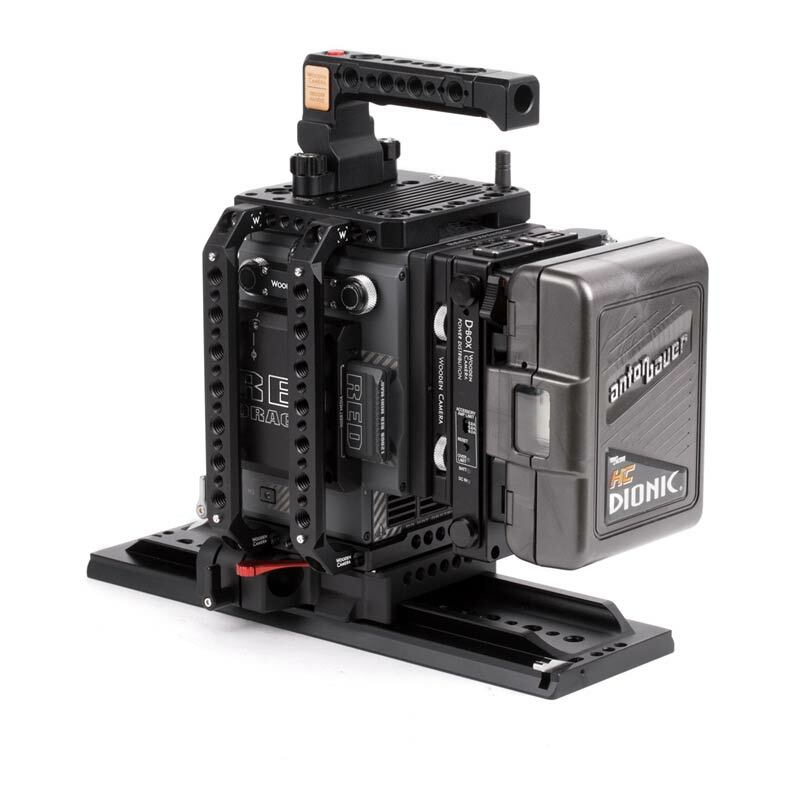 A RED Brick battery can supply up to 10A with the camera generally consuming 4-6A in standard configuration. 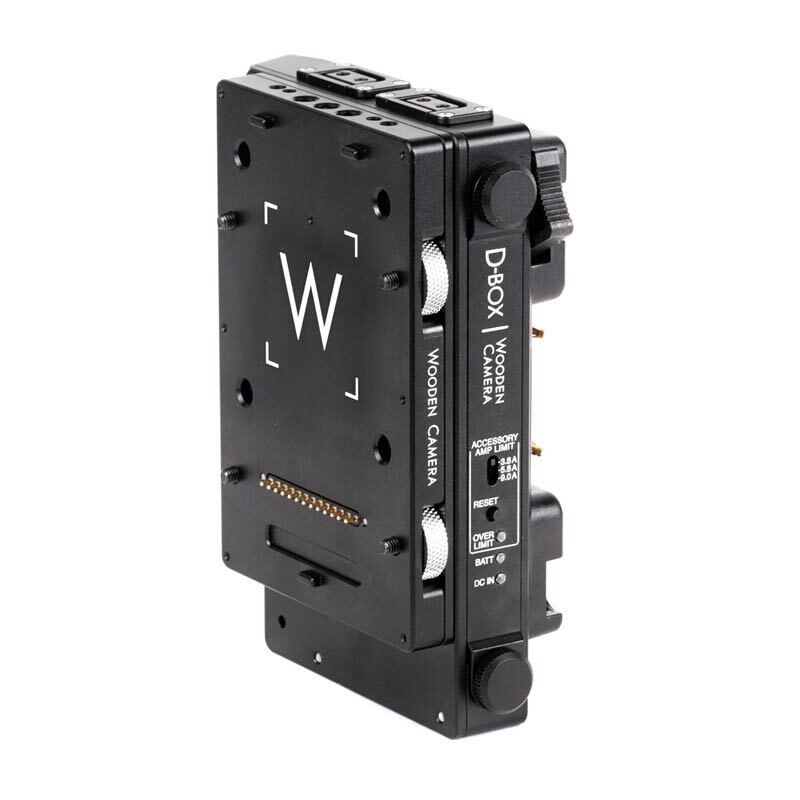 Although the remaining power is available from the D-Taps, LEMO compatible connectors, Fischers, etc., it is best to limit the power draw to 4A or less for best results. Consuming more power than a battery is capable of providing will cause the battery to shut itself off, killing the camera and accessory power.